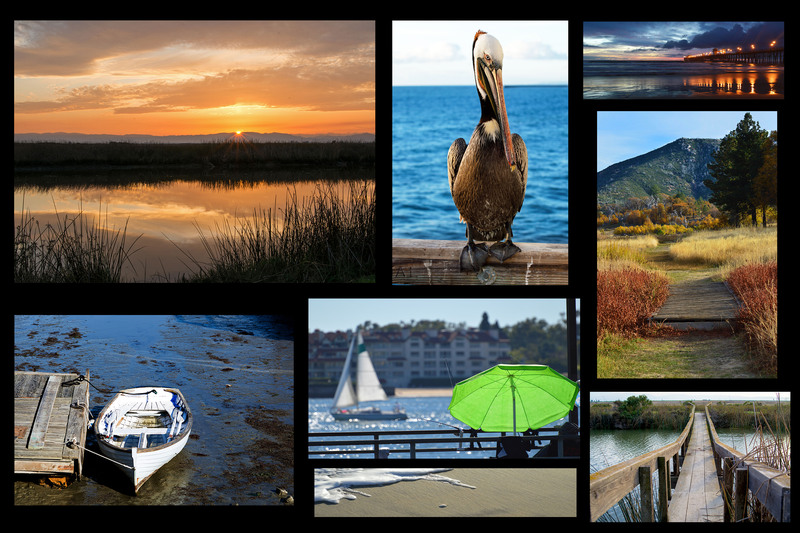 Staycations California – Page 53 – California sites, places, cities, attractions, events, excursions, for the day, weekend, or week. 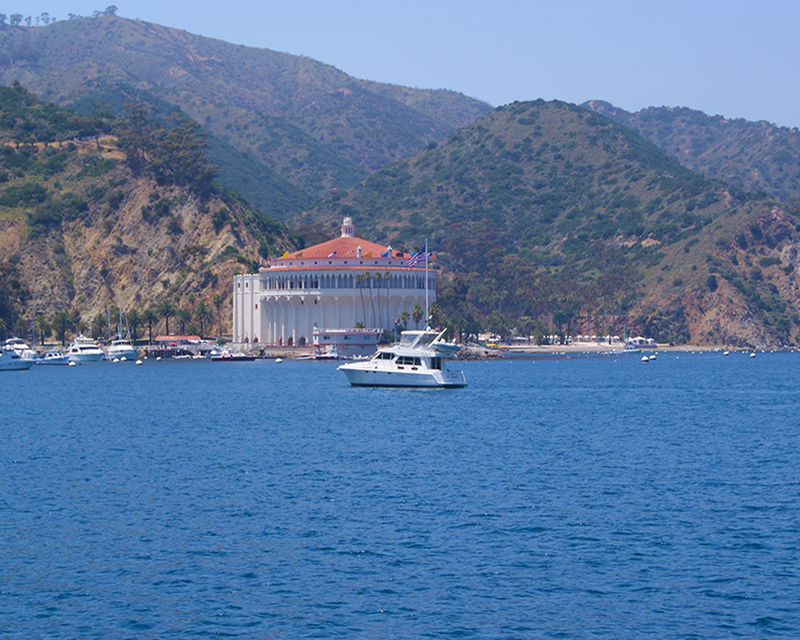 The adventure to Catalina Island begins with the boat trip that ranges in length of time depending where you depart. 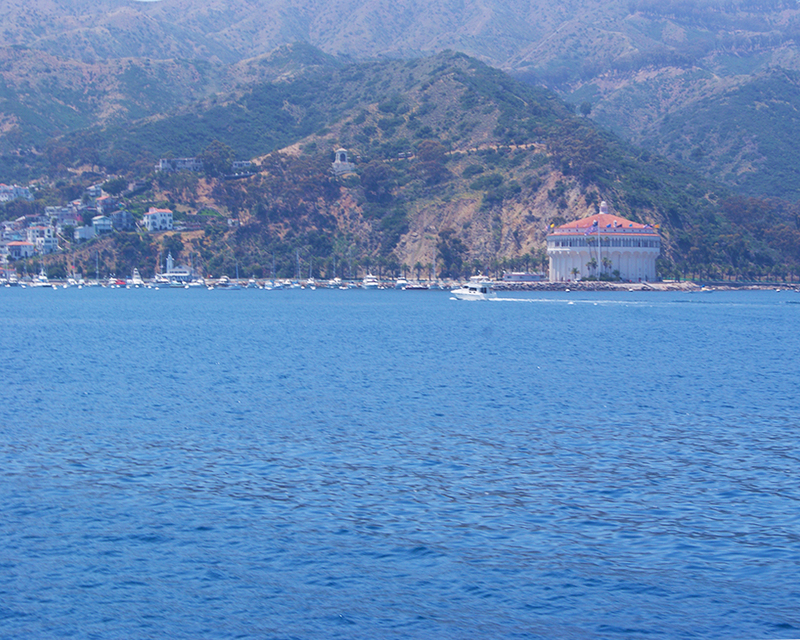 Boat trips are available from most of the harbors in Southern California so we decided to leave from Dana Point Harbor for the hour and a half trip across the Pacific. The newer and larger boats get you there a lot faster these days and most of the time it is smooth sailing which helps to keep the sea sickness at a minimum. However, just to be sure we loaded up on the Dramamine. 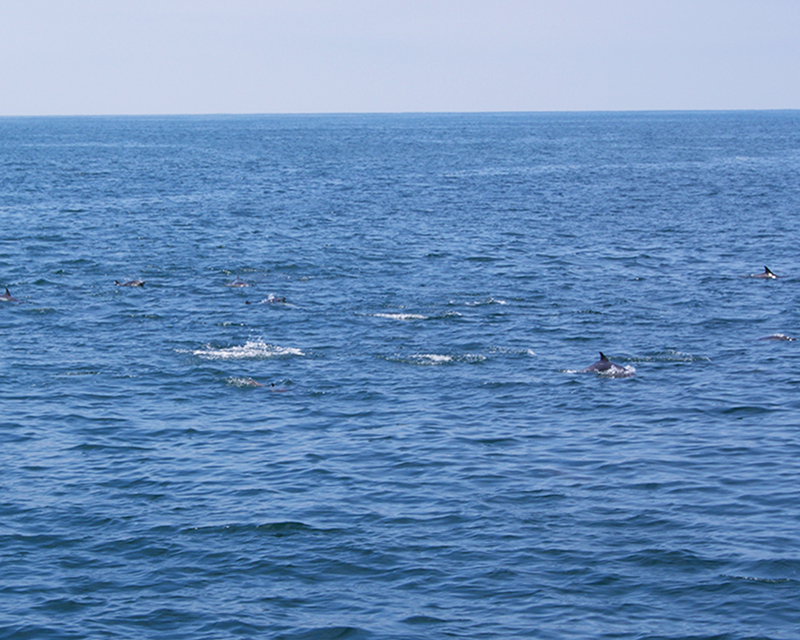 About 30 minutes out of port, we were treated to a visit from a pod of dolphins about 100 strong. 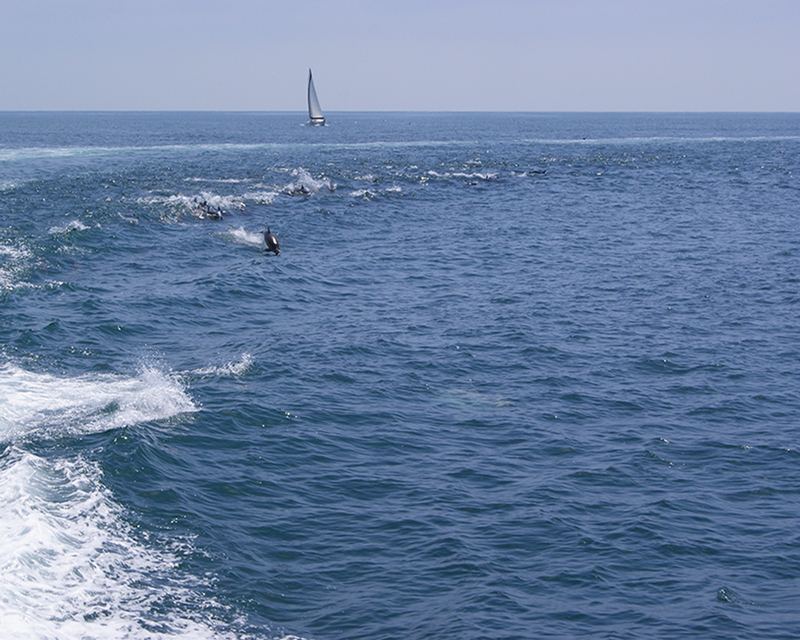 A few were jumping the wakes of the boat so the Captain slowed us down to watch them frolic for a few minutes. 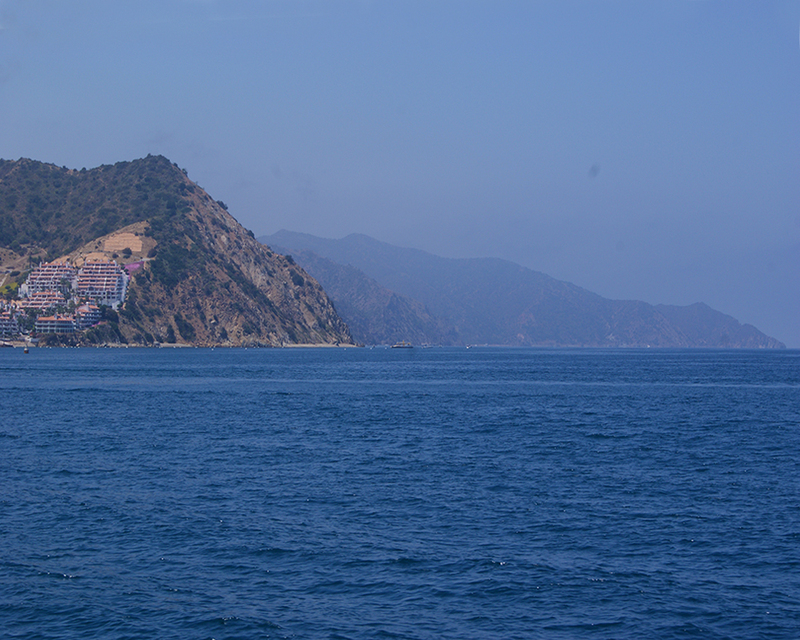 On a typical cloudy morning in California we couldn’t see Catalina from the shore so it was a thrill when we first spotted land as the sun starting peek out of the haze. 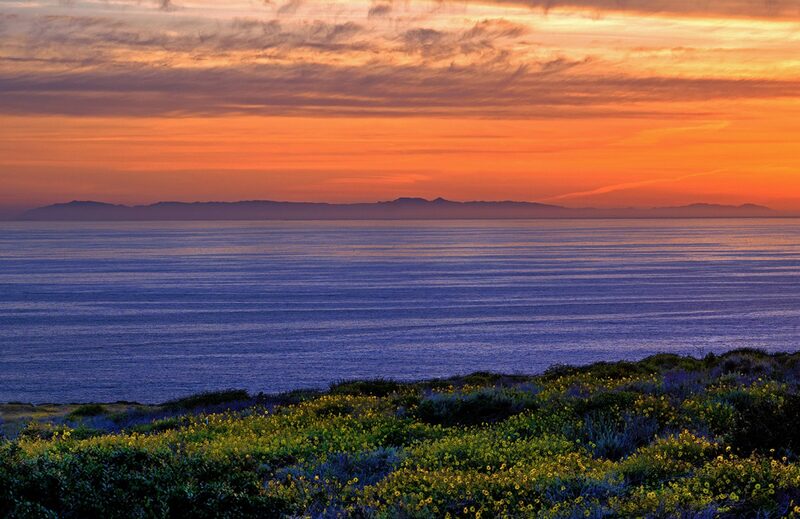 On a clear day you can see Catalina from most coastal cities in Los Angeles, Orange, and San Diego Counties. 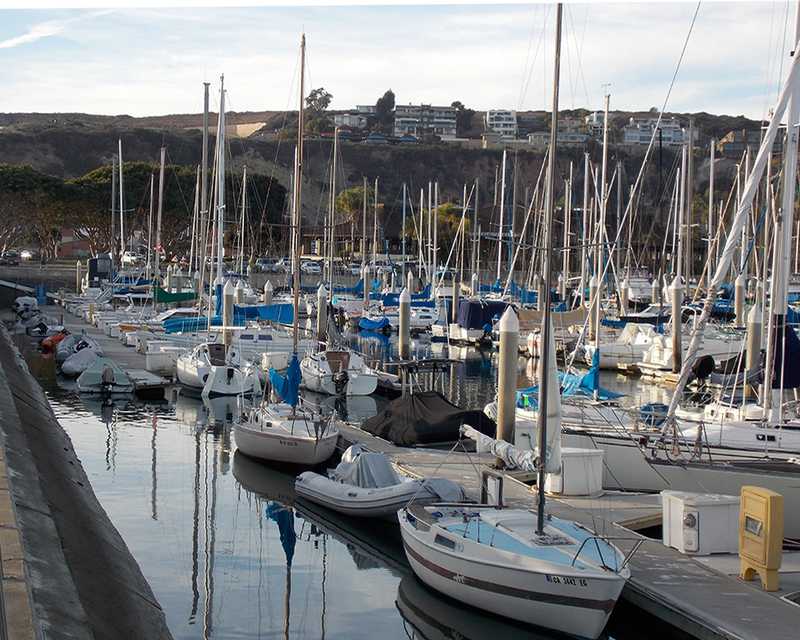 Dana Point is a city located in southern Orange County with a population of about 33,000 as of the 2010 census. 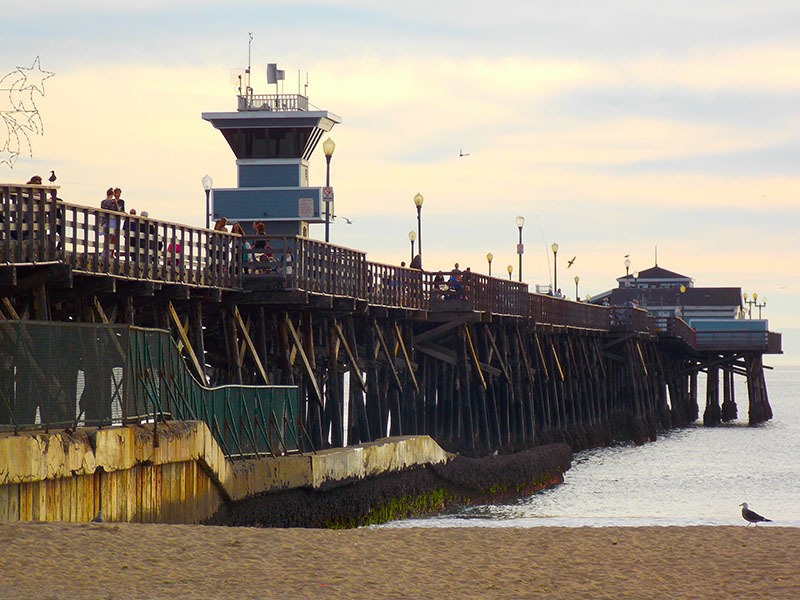 Besides being one of few harbors along the Orange County coast, it is also a popular surfing destination with Doheny State Park at the south side of the harbor jetties. Now a thriving harbor with a vast array of boats, it also contains a replica of the tall ship the Pilgrim. 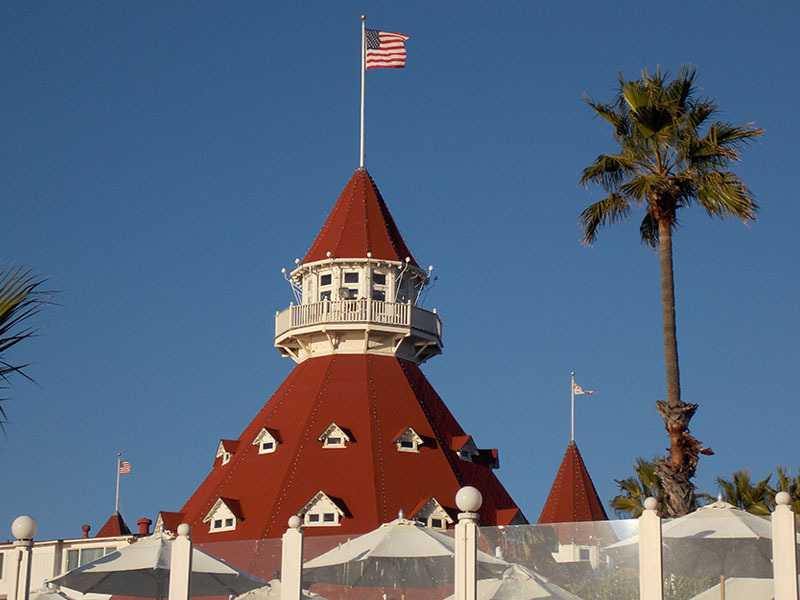 For the last excursion during the holidays 2013, we went to Coronado Island and Hotel Del Coronado. 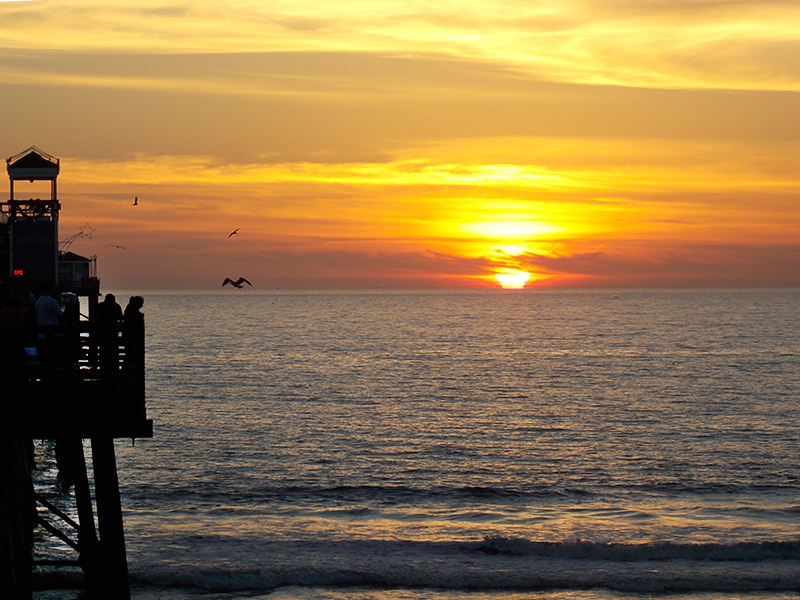 With a population of about 24,000, Coronado lies on a peninsula connected to the mainland by a 10-mile isthmus called the Silver Strand. 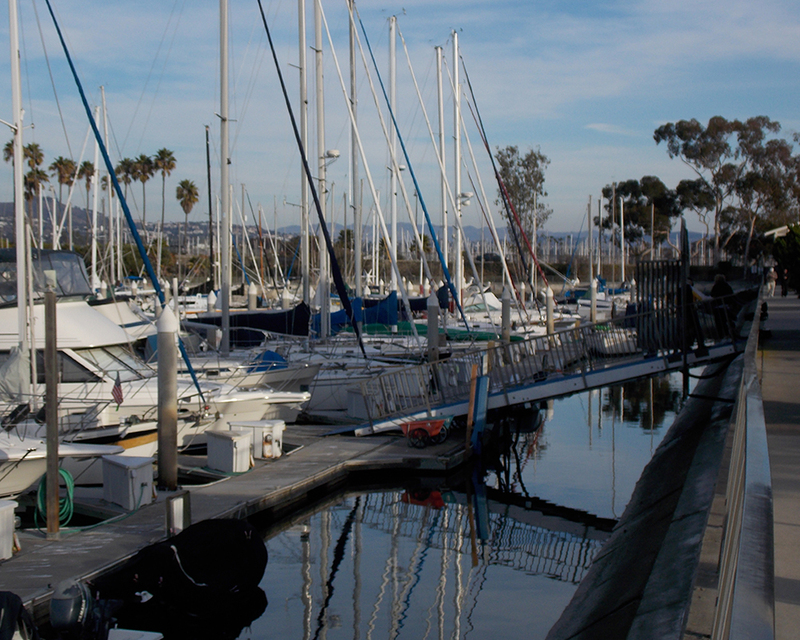 Close to downtown San Diego, the lengthy Coronado bridge will also take you to the island. 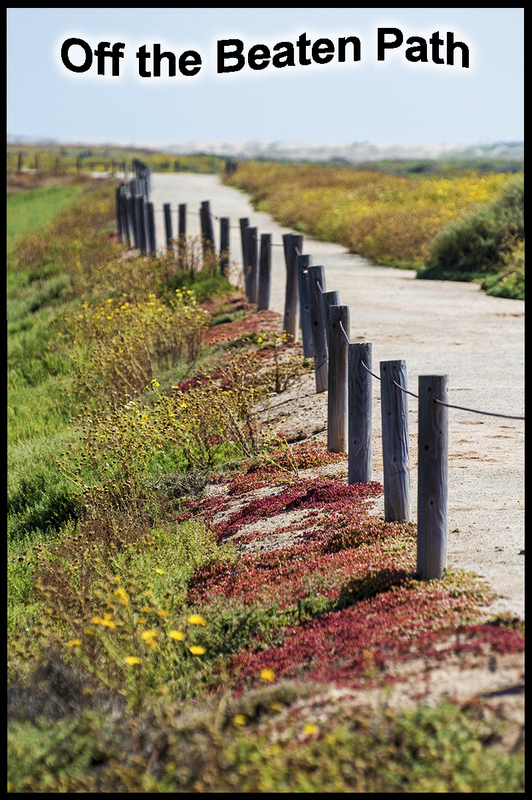 Enjoy the beautiful views of the harbor from the bridge as you are driving over, but drivers take a peek only once in awhile, it’s a long way down.